The Federal Acquisition Regulation (FAR) contains the uniform policies and procedures for acquisitions by executive agencies of the federal government. The FAR is issued and maintained by the Department of Defense, the General Services Administration, and the National Aeronautics and Space Administration. 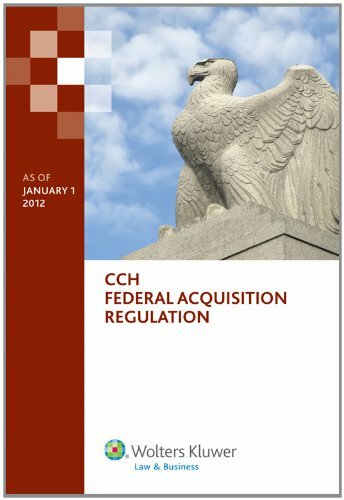 This CCH volume reproduces the FAR and all amendments to the regulations issued prior to this January 1, 2012 Edition, along with an easy-to-use topical index. Sources of the amended text are listed in brackets along with the date of issuance and the effective date for all sections changed since the initial text of FAR appeared in the Federal Register of September 19, 1983.